Apartment Metro View Residency has been tastefully designed with useful and efficient amenities as well as modern conveniences for the comfort of travellers. The spacious rooms are well-lit with the natural light streaming from the windows. The dark cushions and furnishing add a delightful contrast to the sober decor of the space. Facilities offered by the hotel include an elevator, CCTV cameras, laundry service and free wifi access. 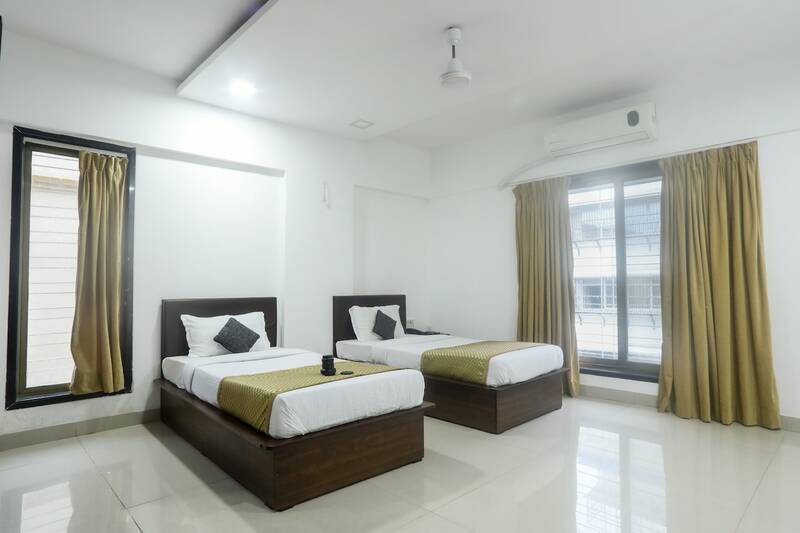 The property is a comfortably located value hotel in Mumbai with plenty of key attractions nearby such as the Mahakali Caves, Appa Pada Waterfall that is a short drive away from the property.